The Wealth and Poverty theme hosts Wealth and Poverty Week on Urban Challenges, featuring Dr. Smoki Musaraj discussing “Construction, Corruption, and Concrete: Lamenting Betonizim (Concrete-ization) in Albanian Cities” on Tuesday, Oct. 31, from 1:30-2:30 p.m. at Alden 319. Watch live or later on A&S TV. For the first time in human history, the majority of the world’s population lives in urban areas. The rapid global urbanization presents both challenges and opportunities in fostering inclusive, competitive, and environmentally sustainable cities. The Wealth and Poverty Week on Urban Challenges brings the Ohio University community together to discuss pressing challenges in our cities and look for ways to achieve a more sustainable and just urban future. Musaraj is Assistant Professor of Anthropology at Ohio University. Prior to joining OHIO, she was Postdoctoral Scholar at the Institute for Money, Technology, and Financial Inclusion at the University of California, Irvine. She has a Ph.D. in anthropology and an M.A. in political science, both from The New School for Social Research. She is a cultural anthropologist with a specialization in economic and legal anthropology. 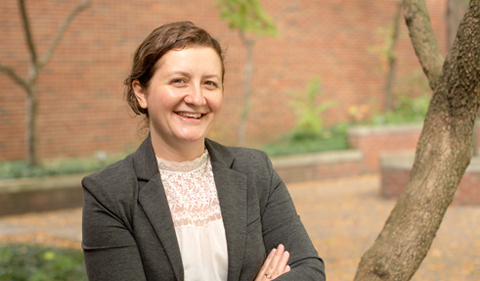 Her research interests include the anthropology of money and value, informal and alternative economies, speculative bubbles, corruption and the rule of law, postsocialist transformations, and societies of southeast Europe and the Mediterranean. Musaraj has published in various scholarly journals, including Cultural Anthropology, Ethnologie Française, Përpjekja, Anthropology of East Europe Review, and Polis. Her co-edited volume, Money at the Margins: Global Perspectives on Technology, Inclusion and Design, is forthcoming in 2018 as part of the Human Economy Series by Berghahn Books. Abstract: Construction and real estate markets are notorious sites of financial speculation as well as prime targets of corruption allegations. This presentation explores corruption in construction in the context of Southeast Europe, looking more specifically at postsocialist Albania. Over the last decade, construction in Albanian cities has indeed boomed; so have allegations of corruption that involve developers and public officials. In everyday conversation, representations of illegality and corruption in construction are often expressed in the critique of the betonizim (concrete-ization; from beton, concrete). Laments about the betonizim of the city and the coast point to the extensive use of concrete in the mushrooming high-rises and in ongoing infrastructural projects. The talk will explore how concrete—with its material properties, histories, and uses on the ground—has come to represent illegality and corruption for various urban publics. 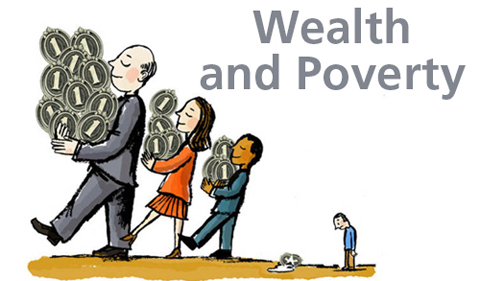 This Wealth and Poverty talk is open to the public. Please contact Yeong Kim at kimy1@ohio.edu for further details on this event.